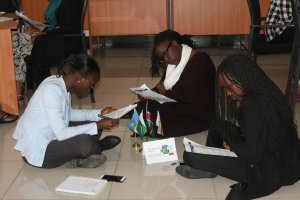 November 10, 2017 – Through the conjoined efforts of the Strathmore Business School, Climate Interactive and the Sustainable Development Solutions Network – Youth, thirty-three students participated in the second World Climate Simulation organized by the University’s Centre for Sustainability in Leadership. The event’s goal was to give the participants a much closer feel of the ongoing 23rd Conference of the Parties (COP 23) to the UN Framework Convention on Climate Change (UNFCCC) then taking place at the UNFCCC Secretariat in Bonn, Germany. The participants role-played different delegations present at the UN Climate Summit and were expected to make decisions taking into account their social, economic, environmental and political status as a state. 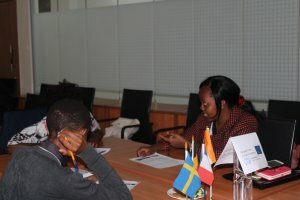 The simulation exercise was grounded on current climate science which through the use of the interactive C-ROADS computer simulator, participants would find out how their proposed policies would impact the global climate system in real-time. The delegations represented were United States, European Union, Developed Countries, India, China, Developing Countries as well as observer interest groups of Climate Activists and Fossil Fuel Lobbyists. Each delegation had to come up with a policy strategy and commitments which included the year in which they would peak their greenhouse gas emissions, start reducing the emissions, the annual reduction rate, and their commitment to preventing deforestation and promoting afforestation. They also had to discuss their contributions and/or requests from the Green Climate Fund and its institutionalisation. The whole goal of the negotiations was to keep the global temperature increase of our planet at well below 20C while enabling the developing countries, through financing, to cope with the impacts of climate change and adopt low-carbon development pathways. Indeed, the negotiations process was not only gruesomely long but also, a show of the reality of the complexity and vested interests surrounding the UN climate negotiations. After three rounds of negotiations, the role play resulted in a 2.10C of warming with financial contributions exceeding the GCF target of $100Billion/year. During the debrief session, participants discussed at length the current impacts of climate change in Kenya which are also compounded by local environmental issues such as illegal encroachments, deforestation, livestock overgrazing, and poor waste management. Importantly, the students discussed what they would do within their community. They came up with practical projects aimed at reducing greenhouse gas emissions including planting trees, recycling plastics and changing consumption patterns. Overall, the participants agreed with the ideology that the three pillars of sustainable development – economic growth, environmental stewardship, social inclusion – cut across all sectors of development, from cities to agriculture, infrastructure, energy development and use, water, and transportation. The question facing countries, cities, corporations, and development organizations today is not whether to embrace sustainable development, but how. 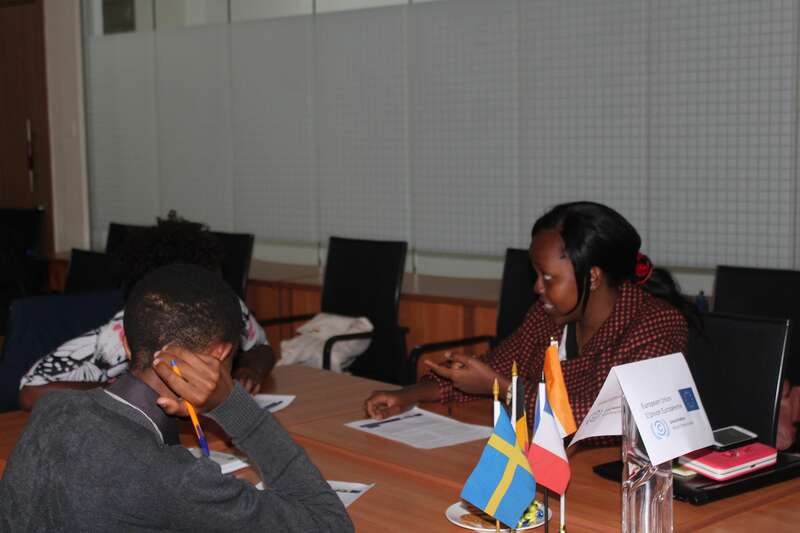 The outcome of the simulation was that the thirty-three participants were branded as Kenya’s Climate Change Ambassadors under the SDSN Youth network. 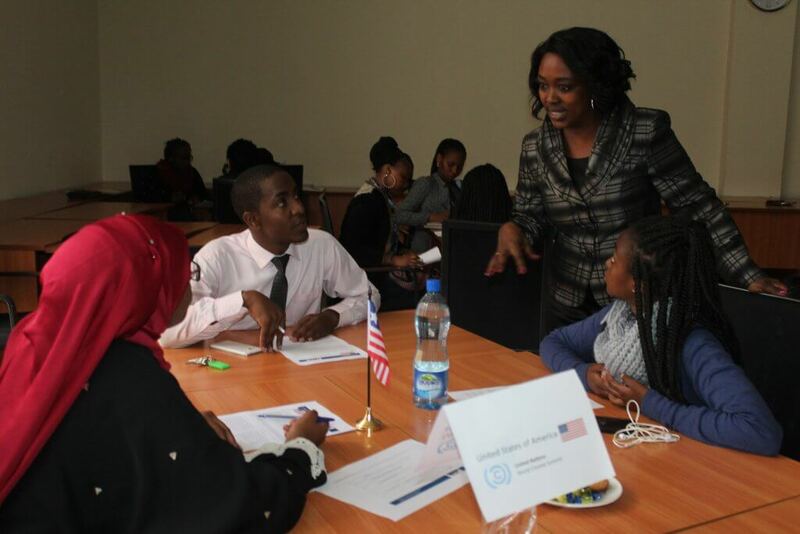 The World Climate facilitator, Grace Mwaura, from Climate Interactive offered to train Strathmore students and faculty interested in becoming World Climate facilitators. This is expected to be done in conjunction with the Center for Sustainability in Leadership at the Strathmore Business School and organized by Joyce Riungu. As for the SDSN Youth, they aim to create partnerships with youth organizations in Kenya which have SDGs initiative in their mandate. Not limited to SDG 13 which aims to take urgent action to combat climate change and its impacts. The World Climate Simulation is intended to be incorporated into the Strathmore community in the preceding years through continuous training of facilitators and simulation exercises.